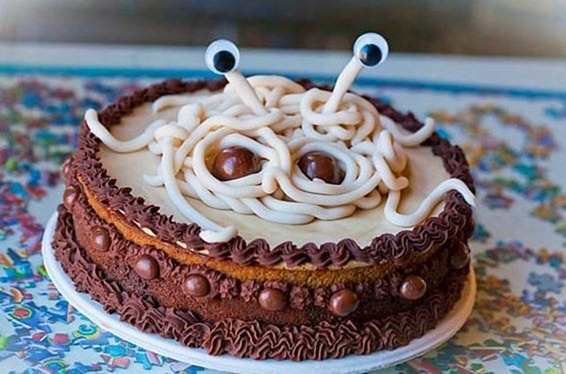 It is my friend Carmen’s birthday today and the one request she made for her birthday was a White Russian Cake with FSM decor. 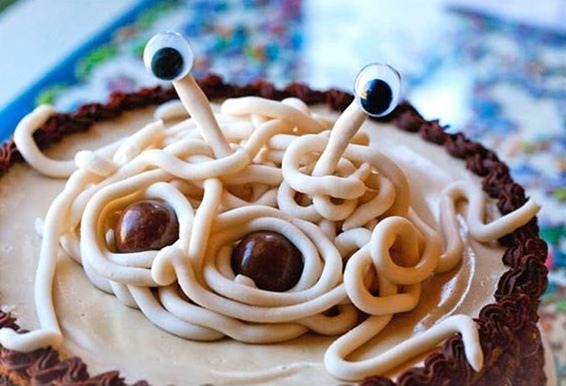 So I made her a Cappuccino Kuala Fudge Cheesecake with his Noodleyness. Oops, “it” was made. I guess we all make mistakes. It is not often that you find a blog post like this one. I be certain to check back in to find out what’s different. Thanks for taking the time to write that article. I think you mean “Kahlua” cake. Unless it’s made of Koalas. Awesome either way! pardon me for my spelling error!